Who doesn’t love penguins? 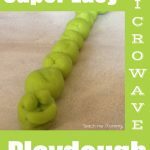 And playdough! 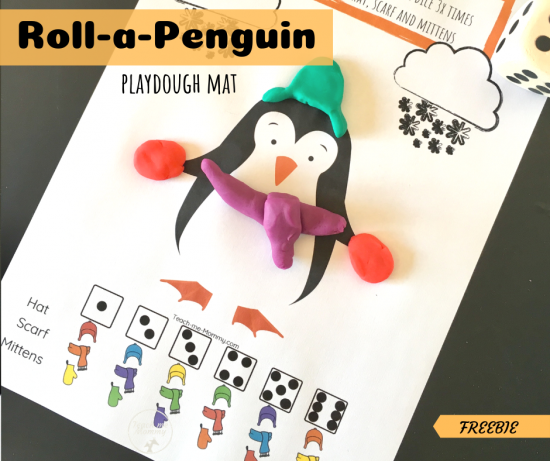 Making this FREE Roll-a-Penguin playdough (play dough or PlayDoh) mat the perfect fun activity with preschoolers or kindergartners! 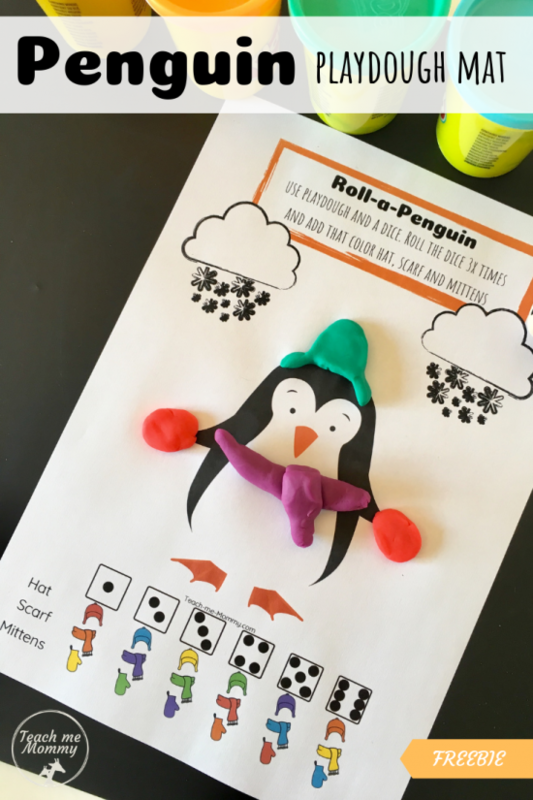 This penguin playdough mat is similar to our Roll-a-Snowman playdough mat our readers loved! 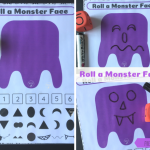 Simply print(see download instructions/Freebie Access below) out the sheet and laminate! 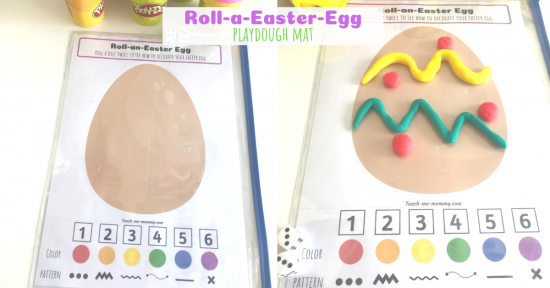 Provide a variation of colors similar to the ones you see in the printable, of playdough/PlayDoh and a dice/die with numbers or dots up to 6. 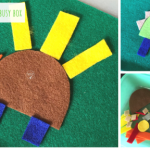 Roll the dice once to see which color you should make the hat using the rubric below. Then roll again for the color scarf and a last time to get the color of the mittens. 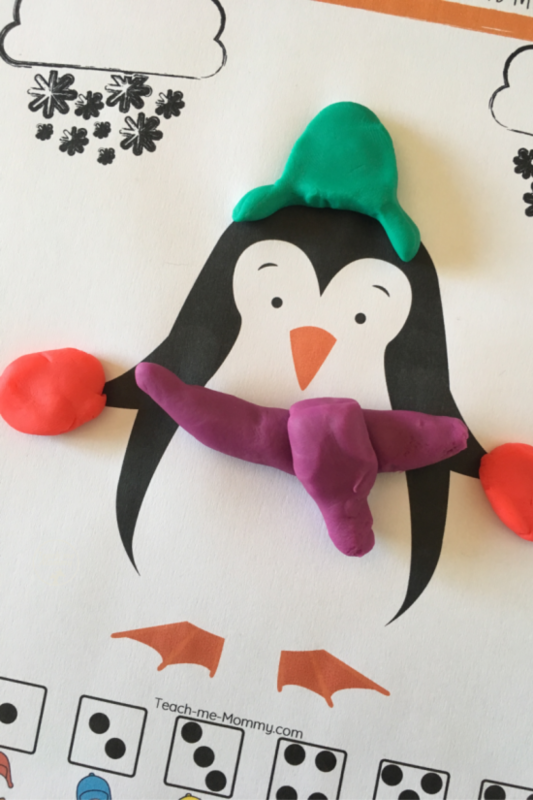 Each time a child plays the end result of the penguins winter accessories can look different.What fun! 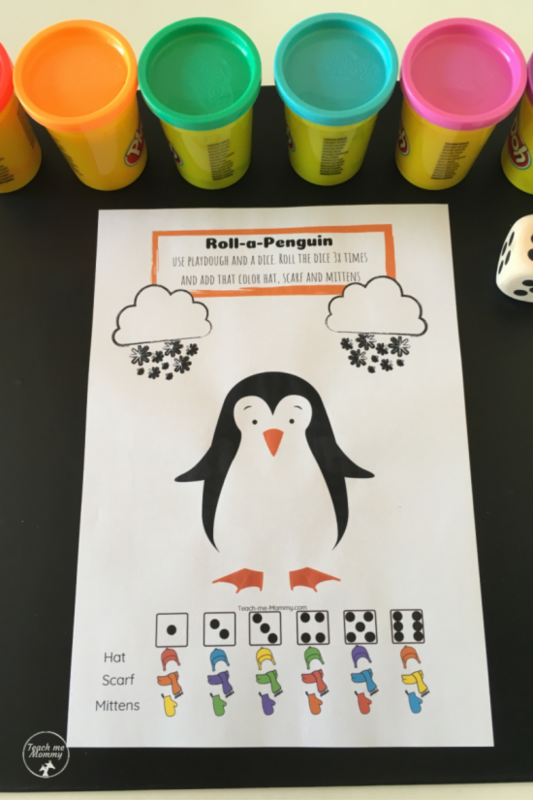 Play with a friend and compare your penguins or copy each others penguins. 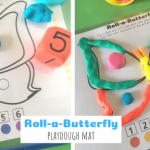 Educational value: This penguin playdough mat develops number and color recognition skills. Also, knowing that the number dots on the dice represents the number(number sense). You can provide a dice with numbers and not dots to work on matching the number and dots in the rubric. 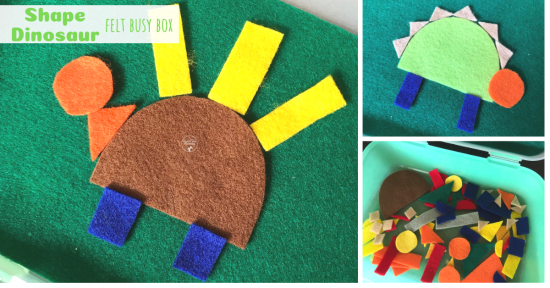 Fine motor muscles in the hands and fingers are being used to form the hat, scarf and mittens. 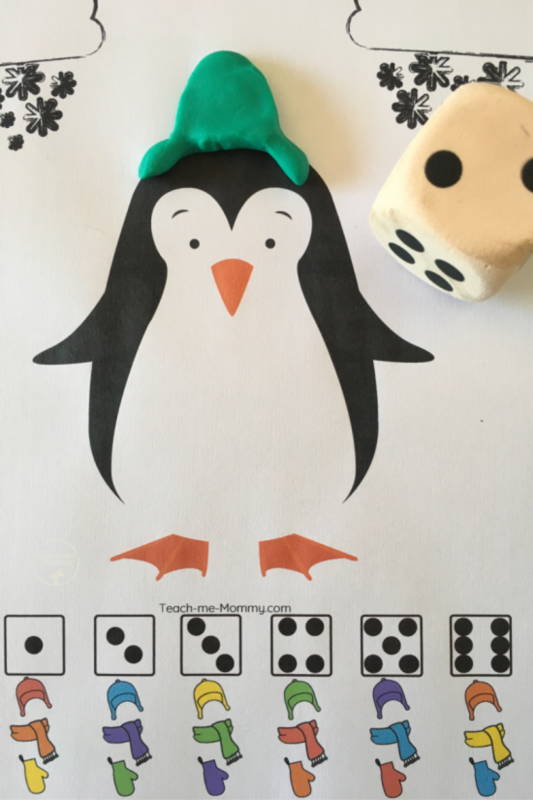 And then of course following a rubric, a simple one like this is perfect to start with..
A super cute and fun penguin playdough mat, perfect for your playdough OR math centers with a Winter or Penguin unit! 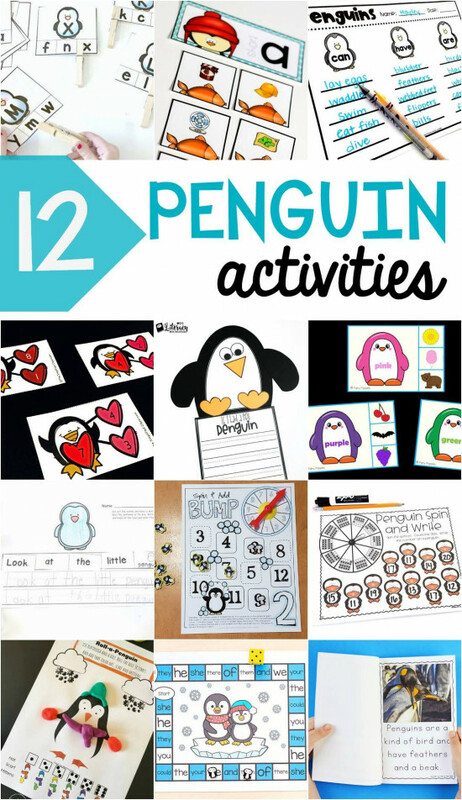 I found your site through the 12 Penguin Activities post I received from Alex at the Kindergarten Connection. I would really like to implement your penguin and snowman playdough mats into my classroom. 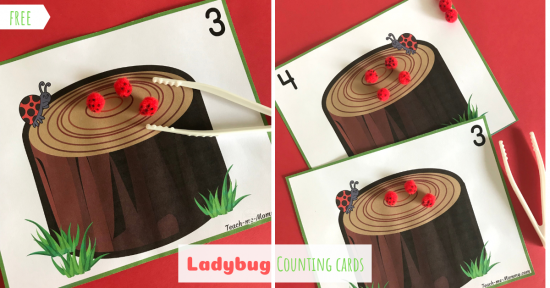 Wonderful fun way to integrate fine motor, number sense and colour! …but for the life of me I can’t figure out how to download them. 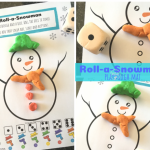 Kindergarten teacher in Albert, Canada – so lots of snow! Hi! So glad you like them. 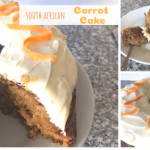 Do you see the blog that says Freebie Access further down the post? 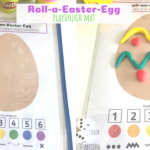 Fill in your email there and you will receive the password for the Freebies page where you will find the mats and all our other free printables. Hope it helps? I confirmed my email on the Freebies page, but have not received a password. It was sent according to my records. Please check your junk folder.